This week we are going to dive into a bit of bear information. Grizzly bears and grizzly encounters are becoming more and more common, and with current politics surrounding the matter, I don’t see bear human encounters getting any better any time soon. As someone who hunts in grizzly country, I personally wanted to know more about what to do and what not to do in certain situations. When I started hunting around grizzlies about all I knew was don’t try and live with them, that’s a bad idea. Actually, I have had a few encounters with bears and have been pretty fortunate, but with attacks seemingly more and more common I thought it would be a good idea if we were all a little more educated. 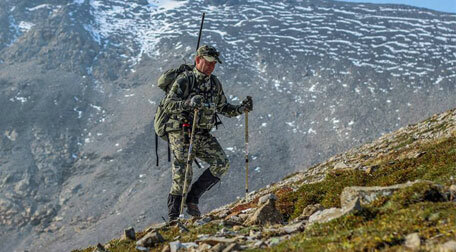 Kevin Wilson is the president and CEO of Wild Encounters and has a vast amount of experience in both hunting around bears as well as training people about bears and bear behavior. Kevin has some great grizzly encounter stories that I am much happier to hear from him than to actually experience first hand and I can’t thank him enough for jumping on the show to share his knowledge on the matter.